There are several new babies in my life. Some have already arrived and some will be coming this summer so I am on the lookout for baby gift ideas! So, when I was given the opportunity to give a mombo™ to a new mom and baby, I was really excited! Plus, even more exciting is that I get to send a mombo™ to one of you! I wanted to add a homemade touch to the gift so I decided to make one of my favorite things: A Gift In A Jar! 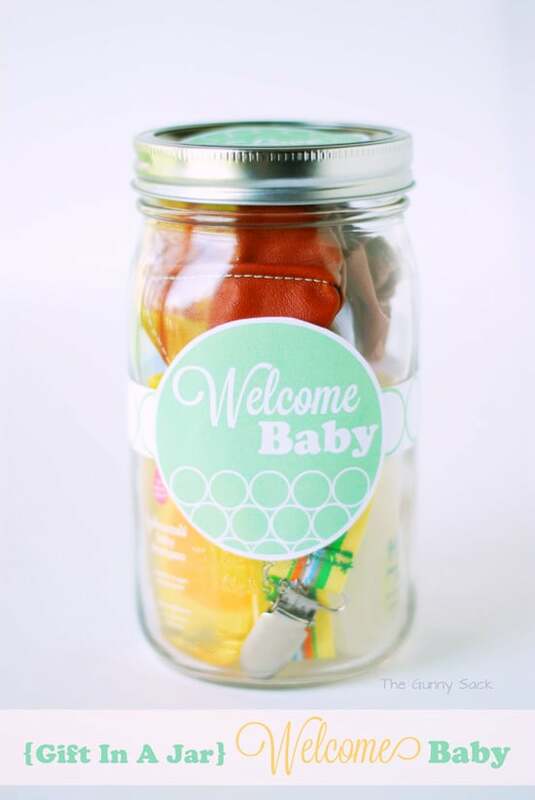 This gift in a jar is simply called Welcome Baby. I love the slipcover color and design on the mombo™ so I made matching printable labels for the jar! 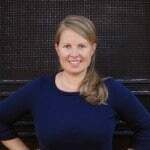 Before I share how I made the Welcome Baby Gift In A Jar, I want to tell you about mombo™. I am already familiar with mombo™ because I used one with Vanessa and Zack. The name mombo™ comes from “for mom and baby both”. The mombo™ can be used with both breast fed and bottle fed babies. It is so easy to use! Just put the pillow around your tummy with the firm feeding side up and lay your baby on the pillow. The mombo™ brings your baby up to a comfortable level so you don’t have to hunch over to feed them. It provides support for the baby and the mom. This is especially important for nursing moms! The soft side of the mombo™ is for the baby. It is a super comfy place for lounging or for tummy time. 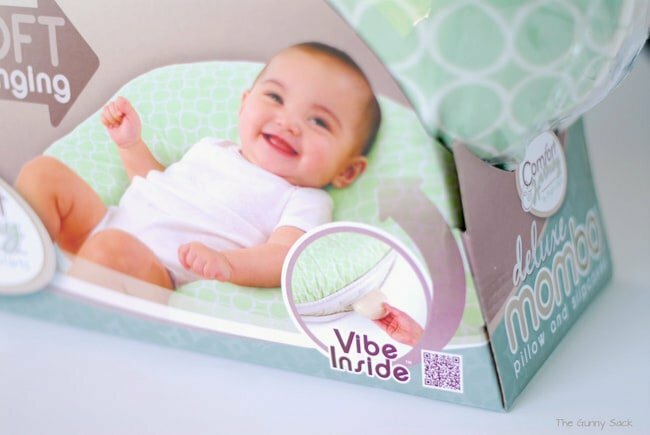 Plus, this mombo™ has a extra special vibration feature to give babies a soothing experience. This deluxe, high quality mombo™ came with the pillow and the beautiful, soft slipcover. I love the light green color and the pattern of circles on it on the lounging side. The firm feeding side is the same color but has white stripes rather than circles. I know that my sister-in-law is going to be so excited to receive this gift! 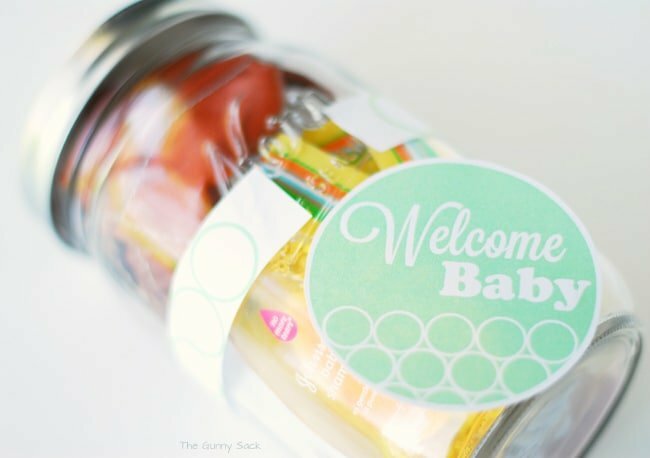 For the Welcome Baby gift in a jar, I gathered together some small baby items that I knew would fit in the jar. I bought travel size bottles of baby wash, powder, shampoo and lotion as well as a package of baby socks. I had a pair of orange leather soft soled shoes that I made from a leather jacket. I also had a ribbon pacifier clip that I had made that would easily fit into the jar. 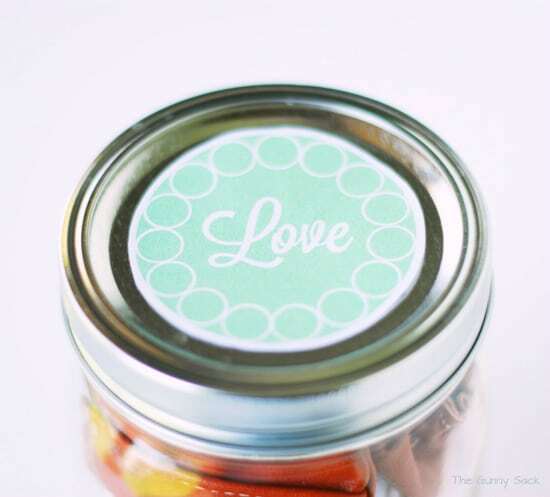 There are three printable labels for this gift in a jar. The first is a white strip with green circles. It is about the length of an 8 1/2 x 11 piece of paper but it did not fit all the way around my mason jar. That does not matter though because the second label, Welcome Baby, covers that empty space. Want to get your own mombo™ right away? Look for them at Toy’s R Us. Learn more from Comfort & Harmony on Facebook and Comfort & Harmony on Twitter . For me! To nurse my baby girl. Would like to win for my daughter. I have several friends expecting and any one of them would enjoy this!